Mix beats, art, and food with other creative types at our winter party, featuring music from DJ Brian Carter, and live art by Enchanted April Occasions. 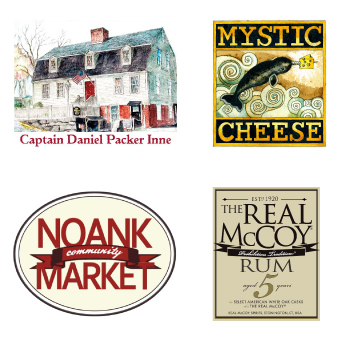 Rum Tasting by Real McCoy, artisanal cheese by Mystic Cheese, hors d’oeuvres by Noank Community Market and East Coast Catering, and desserts by Pearl Street Bakery. Visit Daniel Packer Inne between 5pm and 6pm, mention MIX and receive half-priced appetizers in the dining room. Admission includes wine bar, signature cocktail, and light hors d’oeuvres.